I got these for 25 cents! July has just begun, but if you're here in Chicago you'd probably have to check your calendar twice. This June actually went on record as the wettest in Illinois history! I'm crossing my fingers that July brings us a little more sunshine..I'm ready to go to the beach and tan! Fortunately, one of my favorite trends is just perfect for this not quite summer weather! 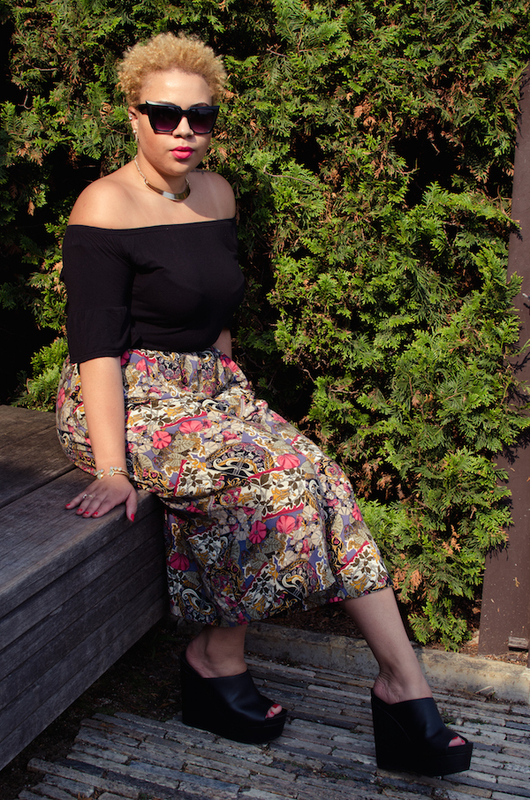 I actually found these pretty patterned culottes at one of my favorite thrift stores for only 25 cents! Deals like that are the main reason I've been thrifting obsessed for all these years. What's the most unforgettable deal that you've every gotten while thrifting/shopping?